Used Cars, Trucks, SUVs and More at Jerry's Chevrolet of Leesburg! At Jerry's Chevrolet of Leesburg, we're committed to helping all of our customers find the vehicle that fits their needs and budget best. We understand that for many of our customers, buying new simply isn't necessary, which is why we proudly offer one of the largest assortments of used trucks, cars and SUVs in the area, making it easy for drivers all over Herndon, Ashburn and Sterling, VA to find the used vehicle that fits both their needs and their budget alike! Whether you have a specific model or style in mind, with so many used trucks, SUVs, cars and even luxury vehicles to choose from, we make it easy to compare and contrast your favorite models and build a financing plan that works best for you so you can drive home in the vehicle of your dreams in no time! 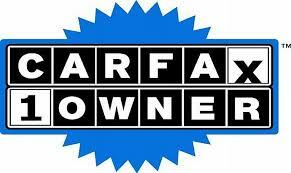 Are you looking for used trucks in Leesburg? We offer a wide variety of new trucks, including many gently used Chevy models like the Silverado 1500 and Colorado, among many others. Whether you're looking for a used truck for work or for play, we have the selection you need to tow, haul and explore all over Virginia in comfort and style. Are you in the market for a used car? We offer many used sedans and coupes from automakers all over the world, including an always prevalent selection of used Chevrolet cars. From athletic coupes and sedans to efficient commuting cars, we have everything you need to enjoy every outing around Leesburg more than ever before. Whether you're looking for family friendly accommodations or rugged ability, we're proud to offer a wide variety of gently used SUVs to choose from. With many makes and models to choose from, you can compare and contrast your options right at the dealership and decide on the used SUV that fits your lifestyle and needs best! The next best thing to driving home in a new Chevrolet vehicle is driving home in one of our certified pre-owned Chevrolet models, providing you with the same assurances and warranties that buying a new Chevy model would award you with but for a more affordable price. Every certified pre-owned Chevrolet model must be no more than five model years old and no more than 75,000 miles on the odometer. It then must pass a rigorous 172-point inspection to be deemed certified. Every model then comes with a 12-month/12,000 mile bumper-to-bumper limited warranty as well as a six-year/100,000 mile powertrain limited warranty and a number of other benefits. We want to invite drivers from all over the greater Ashburn, Herndon and Sterling, VA area to join us at Jerry's Chevrolet of Leesburg to check out our wonderful selection of used vehicles in person today! We're happy to work with anyone to figure out a personalized financing plan that's designed to fit your budget, allowing you to drive home in your dream vehicle at a price that's catered for you today!